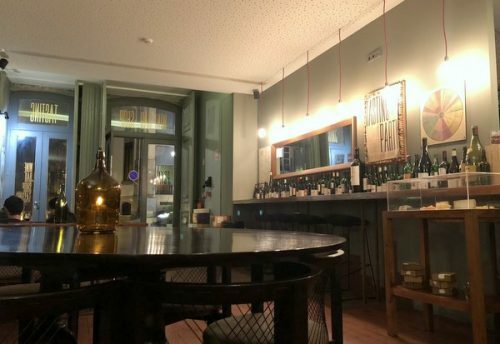 Porto has some good wine bars. We checked out two, on our brief visit. The first is Prova. 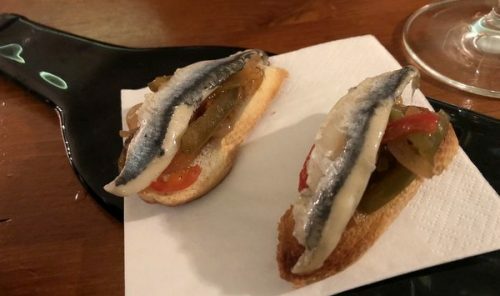 This is a nicely situated, stylish wine bar with a great list and some nice small plates. The staff are also excellent. We got chatting, and were given a taste of a very cool wine that hasn’t yet been released (it’s awaiting approval by the IVDP as it’s a variety that currently isn’t allowed on its own, hence the label). Then we chose a bottle off the list. 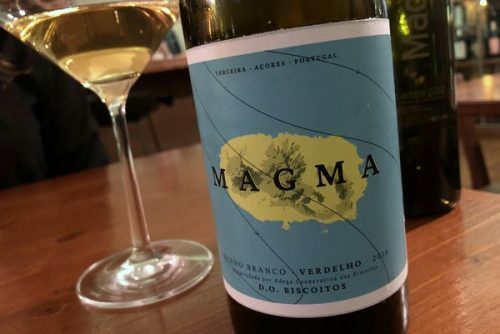 It was from the Azores, and it was excellent. 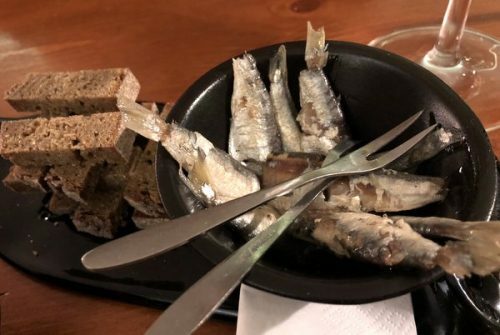 We had it with some small snacks: anchovies and sardines. This was a happy place. The other wine bar we checked out is rather different. 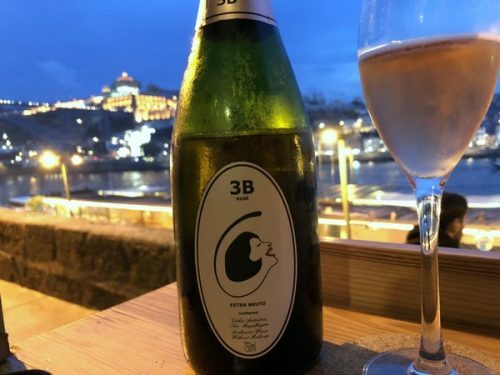 It has a good, strong list at very good prices, but a supplementary attraction is the location: the Wine Quay Bar looks out over the river towards Gaia, and it’s a really stunning view as the sun sets. 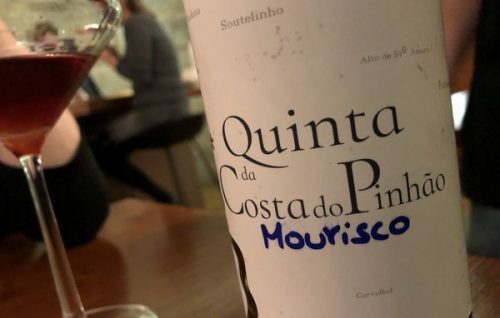 We had a pre-dinner bottle of Filipa Pato’s 3B Rosé, which is just a deliciously fruity wine with nice balance. And at €16 for a bottle, with this view, it’s insanely affordable pleasure.